Are you looking to get started losing weight but don’t know where to start? 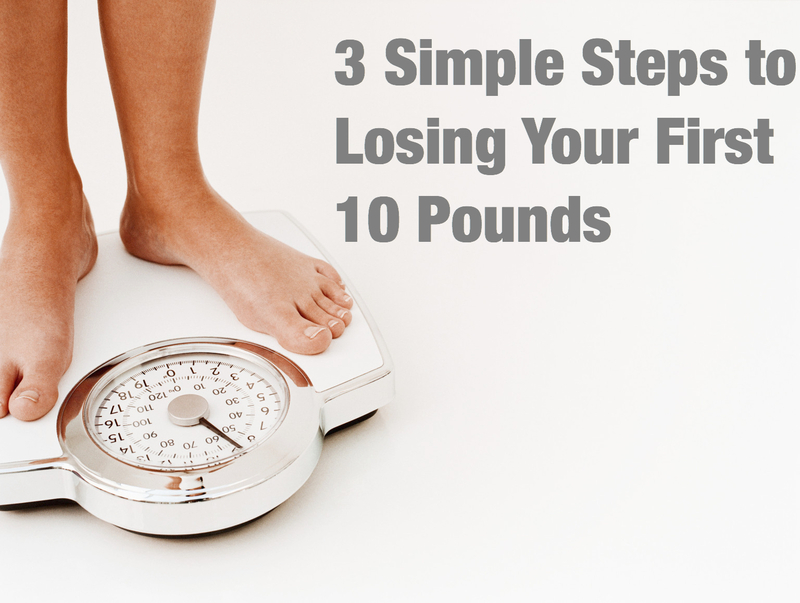 Here are 3 simple steps to losing your first 10 pounds. The first step to losing your first 10 pounds is to start moving more. Any sort of physical activity that is more than you would normally do during the day. Aim to get an extra 30-60 minutes at least 5 days a week of physical activity. I recommend that you find something that you enjoy. This could include walking, lifting weights, playing with you kids/grandkids, gardening, biking, golfing, swimming or whatever other physical activity you enjoy. I highly recommend for everyone to lift weights at least 2-3 times a week. Lifting weights will help you build muscle and stamina. This will help with all things of your daily life. When you build more muscle your body will naturally burn more calories even when at rest. This will really help in promoting weight lose. Start slow and work your way up. Make sure that you are always challenging yourself though. The next step is to increase the amount of protein you are consuming. High protein meals help to slow down digestion making you less likely to eat seconds and keep you satisfied longer. Protein requires more energy for our bodies to break it down, which means that you are burning more calories processing it. Over a period of just a few days, it will decrease the total number of calories you are consuming and cause you to lose weight. The last step to getting started with losing those first 10 pounds is to eat more fruits and vegetables. Fruits and vegetables are loaded with nutrition that the body craves. These cravings are often confused with hunger. Sometimes the body is just craving the nutrition that it needs. Have you ever ate a ton of junk food and then felt hungry an hour later? This is because that junk food is missing the nutrition the body needs and doesn’t keep it satisfied. Fruit can also help with sugar cravings. Instead of grabbing that piece of candy or cookie, next time try grabbing a piece of fruit instead. You can also take bigger portions of vegetables at meals and reduce your portion of carbs. You can eat a lot higher volume of vegetables with keeping the calories low. This will help feel you up. So get started today and go on a walk, eat more protein and eat more fruits and vegetables. These are some simple steps to getting started losing weight. This entry was posted in Blog and tagged exercise, modesto, nutrition, oakdale, online personal training, personal trainer, personal trainer modesto, personal trainer salida, personal training, ripon, riverbank, salad, simple steps to losing weight, Weight Loss. Bookmark the permalink.